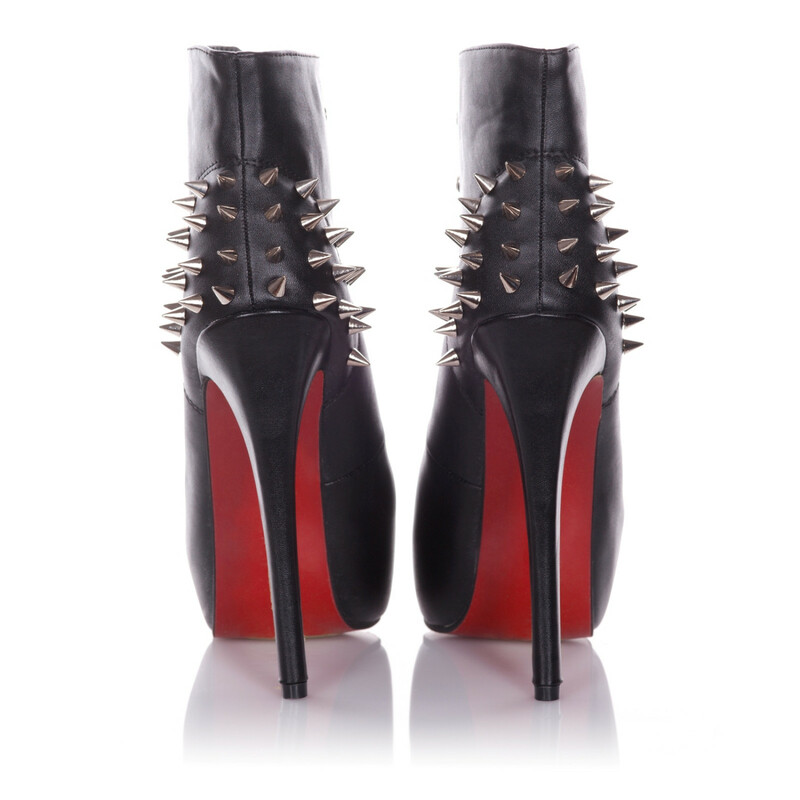 These fierce spiked ankle high boots have a 5½ inch stiletto heel with a 1½ inch concealed platform. They are designed for you to stand tall and take no prisoners. The metal spikes at the rear of the boots really set them apart, but the detailing does not stop there. They are lined with a soft leopard print cloth and have a great looking lace up front.